What is a Free Business Directory—and How Can It Get Your Local Business Ranked? Running a small, local business is nothing like it used to be. If you think back to just 10 years ago, you could still rely on offline marketing techniques like taking out a page in the Yellow Pages, running ads n the local newspaper, or making sure local customers had your printed coupons to tempt them to visit your store. But these days, consumers bypass all those old school marketing techniques and instead look online when they want find US local businesses. But what if you don’t have an online presence? Chances are, most of your competitors do and when consumers want to “find local businesses near me,” they’ll end up visiting their store. Luckily, being found on the internet, isn’t all that difficult, and you don’t have to build an expensive website to do it. That’s because small business directories are the new online Yellow Pages, and their information is listed in digital format. In other words, when people want information about local, small businesses they go to free business directories. What is an Online Business Directory Website? A free business directory USA is a special search engine that is designed to help consumers find local businesses near them. It operates just like a large search engine on the internet, but instead of including a lot of national chains, articles about the topic and other irrelevant websites in the listings, a free business directory only shows you the local stores in your area related to your search. For example, if you search for a seafood restaurant in Los Angeles, California, you would only see the business names, addresses and phone numbers for local sea food restaurants. The same holds true when you search for local stores and services businesses. Want to find a plumber in San Antonio, Texas? Use free online business listings to find them. Need a dress shop for that perfect dress? Free business directories are you answer. If you want to be found online by all those local shoppers looking for a business just like yours, don’t worry. You won’t have to spend hours on the project, or a lot of money. In fact, quality business directories like FindUsLocal.com are free and you can create your local business listing in under 10 minutes. Learn the difference between online databases and true local business directories. Not all business directories are the same, and in order to be the most benefits from listing on one, you need to make sure you choose the right ones. Look for a small business directory that offers more to consumers than just a database of outdated local listings. For example, FindUsLocal offers local news, a live stream of upcoming events, and the opportunity for both consumers and business owners to leave live comments on a local business listings. Sites like these keep shoppers come back time and time to the site to find local businesses. Pay attention to the details in your free local listing. When you create your free small business listing, pay attention to the details and ensure that you enter them exactly the same on each and every business listing. If you don’t, it will confuse the search engine spiders and some of the local citations you create won’t be attributed to your business. In short, enter your business name, address, phone number, and website URL exactly the same on all the free small business listings you create. Drive people to your local listing by adding new content. When you drive people to your local business listing, it makes the search engine spiders sit up and take notice—and that results in a higher search engine ranking. You can drive people to your local listing by asking them to leave reviews, or communicating with your community directly by leaving live comments on your business listing. 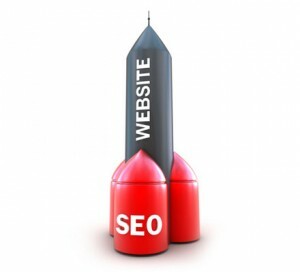 The more you interact with your community, the higher your search engine rankings will be. Free business directories are not only the best way to increase your search engine rankings, but they’re also a great way to digitally interact with the shoppers in your community. If you haven’t already created yours, why not head over to FindUsLocal.com now, and spend 10 minutes designing your free business listing? This entry was posted in Uncategorized on March 19, 2018 by wpadmin. 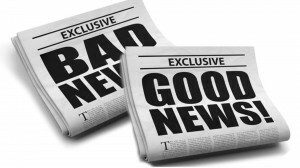 Local Business News is Mixed—Where Will Your Store Fall? One study shows that a majority—75 percent in fact—of consumers say that if given the chance, they would prefer to shop in their retail stores rather than buy their products online. With the mixed reports about local businesses, it makes sense that you would do all you to ensure that you don’t fall into the 16 perfect of local shops that have to close its doors. And here’s the thing: most experts agree that if you simply make a few changes, you can ensure the success of your local business. And the biggest change you’ll have to make is how to go after new business. In other words, you will need to change the way you try to attract new customers. For so long, local business owners have used their local community to tell people about their business. They have spent money on ads to make sure they’re seen when people open the phone book, or take out large display ads in the local newspaper. But the sad truth is that people just don’t look to either of those places any more when they want to find USA local businesses. Instead, they log on and look online for the local shops and restaurants they want to visit. That means unless you have an online presence, you’re missing out on an awful lot of business. And that’s where many of the problems arise. You see, up until now, an online presence was a luxury for local shop owners and many of them still think that way. But the truth is, being seen online is now a necessity for any local business that wants to thrive in today’s internet culture. And local business directories like Find US Local offer local business owners the opportunity to have an online presence—for free. For starters, online local business directories allow consumers to easily find US local businesses without all the hassles they encounter when trying to find them on major search engines. For example, if they were looking for a local flooring company on a large search engine they would see national chains and online flooring stores, along with a lot of articles about flooring. But when looking on a local business directory, they would only find the local flooring retailers in their community. Local News. It can be tough to find all of the local news on one website, but local business directories like FindUsLocal offers up a fresh serving of daily local news to consumers. That’s why so many of them check in at least once a day to find out what’s going on in their community. Local Events. For people who like to keep up with the sporting events, music concerts and theatrical plays and other performances, local business directories are the one place they can get all the information in one place. Find US Local offers a live stream of all the events coming to a visitor’s area—along with a link where they can purchase tickets with the press of a button. Reviews. Most people these days wouldn’t even think about doing business with a local shop or restaurant without first reading some reviews left by other people in the community. And local business directories are the perfect place to read those reviews. And in addition to reviews, local business directories like Find US Local allow consumers to leave comments about the business, and for the business owners to respond to them. This two way communication is a vital part of today’s marketing. Details. Finally, people like to use local business directories to find all the details they need about the local businesses they want to visit. For instance, they’ll find the address and a map with directions, a phone number, reviews, and any other information the owner believes is important. Staying current with today’s marketing trends is the best way to ensure that your local shop, service business, or restaurant will continue to serve you community for years to come. And your first step is to ensure that you have a business listing on quality local business directories like FindUsLocal.com. Why not take this important online advertising step now and find out how it can bring in new customers to your shop? This entry was posted in Local Business Insight, Local Marketing and Advertising, Online Advertising, Uncategorized on October 9, 2017 by wpadmin. When it comes to business topics, few publications carry more credibility than Forbes magazine, one of the most-read sources for news about financial, investment and marketing advice. So when the Forbes Business Council – a group of acknowledged leaders in those fields – offered 15 tips on improving local SEO, it wasn’t the least bit surprising that a clear one-third of those tips referred directly to local business directory listings – and several others referenced elements that relate to local business directories. As might be expected from a major publication, a great deal of the advice offered by the Forbes experts was aimed at making your business more visible in the search engine results. The simple fact is that when people look for just about any type of service or product these days, the first thing they do is Google it, or search for it on one of the other major search engines. Anything you can do that helps search engines understand the services you offer and geographical markets you serve is guaranteed to improve your visibility in the search engine rankings. But there’s more to local business marketing than getting your business to appear in the featured listings when someone does a Google search for the services or products you provide. The other side of the equation is making sure your business ads appear where your customers are already likely to be reading. While many businesses take out ads on local websites – and that’s also an important part of good local online marketing, it’s also very valuable to take advantage of the free business listings offered by larger online local business directory websites like FindUsLocal.com. Unlike sites that purely cater to businesses, Find Us Local has positioned itself as a valuable resource for your customers. In addition to a comprehensive database of local businesses, sites like Find Us Local focus on being useful to local residents and consumers. The front page of the business directory functions more like an all-in-one-place for your local customers to find out what’s happening in their city, town or neighborhood. 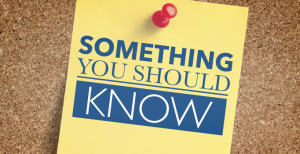 There’s a round-up of local news stories, local weather, and upcoming events that are specific to their geographic location. Elements like these are “glue” – they make a website “sticky” by offering features that bring people back over and over again. When you run a business that relies on customers who live within a few miles of you, this is the kind of website where you want your business to appear prominently. You want people to see your business name frequently so that it becomes familiar, so that it’s the first name that comes to mind when they need someone who provides your services. Not only will a business listing on a local business directory help search engines find your business, it will help your customers find you when they need you. The tips offered by the Forbes business experts break down into a couple of different categories – ways to improve your local business listing, and ways to improve your position in the local search engine results, so let’s take a look at those two elements separately. Good local search engine optimization is a combination of both on-page elements – things you can do on your own website – and off-page elements – things on other websites that help search engines learn more about your business and services. The first is completely under your control. No one but you (or the person/company that manages your website) can make changes to what appears on your website. These five things are all things to do when you’re creating or updating your business website. When people see your business in a Google search, the page title is in big print at the top of the result. It should reference both your services and your geographical location. You want them to see something like Dr. Ada Greene – Pediatric Dentist in Albany. A page title like that tells both your potential new patients and the search engines what you do and where you do it. Take a little space at the top or bottom of every page on your website to list your business address and contact details. If you’re building it yourself using a template, look for the “header” or “footer” section. Those are pieces that will appear at the top or bottom of every single page when people visit your website. Or include written directions and/or a Google map on your contact page. Again, this is a clear signal to search engines that your business is located in a specific geographical area. More importantly, it helps your customers find your office, store or restaurant. There are lots of places on your website where you can insert your city, neighborhood or region. Every photo or graphic on your website, for example, can have tags that tell search engines what the picture is about. In the “alt text” tag, for example, you can write “photo of Sweet Bakery, Las Cruces.” You can use the “Description” tag for every page on your website the same way. When writing directions to your store, refer to local landmarks – “across the street from Crompton Field” helps your potential customers find you, and serves as another local reference to help search engines associate your business more strongly with your city or town. You don’t have as much control over what appears about your business on websites controlled by others, but there are lots of ways to influence those references – and get lots of quality, incoming links. Unsurprisingly, many of these tips are more about being a part of your local community than they are specifically about online marketing. These are five ways to improve offsite local SEO. When your business appears on the websites of your local newspapers, blogs and other media, your reputation with search engines gets a big boost. That doesn’t mean paying for ads – it means doing things that local reporters and bloggers want to write about. Don’t just count on them noticing that you sponsor the cheerleaders at the local high school, though. Give local reporters a heads-up when those cheerleaders appear at a local event, for example, and suggest they might want to cover it. Give a talk at the Chamber of Commerce or other local business organization’s meeting. Organize local businesses to do a Community Giveback Day. Sponsor a contest for local vendors, or get involved in one. Those things boost your profile locally, and can be lots of fun for you and your employees. The additional payoff – high profile incoming links that connect to your business website. Get to know local reporters and columnists and drop them a line when your business is doing something in the community. You want to be in their contact lists so that when they need a comment on something for a story – say, a feature article about holiday shopping or about neighborhood revitalization – they’ll pick up the phone and call you. Many local business organizations maintain local business directories for members. You absolutely want to be listed there. Customer reviews are huge factors in both your business’ reputation and its visibility online. Keep in mind that people are more likely to complain than compliment – it’s just human nature – but you can offset that by specifically ASKING satisfied customers to rate your business on review sites. Those reviews are local SEO gold. Not only will they provide a link back to your business, you can feature the best of them in your local business directory listings and on your website. Google relies on “citations” to help it place local businesses in a geographic area. Among the best citations are local business directory listings. Taking control of your local business profiles doesn’t take much time or effort, and the results are better visibility for your business and more customers coming through your door. These five tips will help you make the most of local business directory listings. Your Google My Business profile is what shows up when someone in your area searches for someone local that provides a service they need. It’s to your benefit to claim that profile and make it attractive. You’ll need to provide a street address for your profile to set up a listing. Once you do, you can list it in a category, add contact information, business hours and photos that show your business at its best. Claim your business profile on all the major local business directories and on review sites. Make sure you pay attention to industry-specific catalogs – contractors, professional directories, etc. Every local business directory listing is a mini-landing page where customers can find and learn about your business. Inaccurate information can make your business less credible. Check your business listings on the most visible online business directories and review sites and make sure that the address, contact information and business details are consistent across all of them. When you Google your business, you’ll often see local business listings on websites you don’t know or haven’t listed yourself on. Those local business directories get their information from a variety of data providers, such as Infogroup and Acxiom. Claim your business with those data providers, and make sure that your contact information and business details are accurate and up to date. One of the most important things you can do on an ongoing basis is to check the reviews left for your business and respond to them. When you respond to reviews left on your business profiles, you’re letting potential customers know that you are involved and that you care enough. This entry was posted in Local Business Insight, Local Marketing and Advertising, Online Advertising, Uncategorized on September 21, 2017 by wpadmin. Times have changed. Many homes don’t even have a phone book – or even a home telephone. Newspaper subscriptions – especially for local newspapers – are at an all-time low, and your friends? They’re leaving their recommendations for their favorite just-about-anything on review sites, Facebook and their favorite local business directory. If your business doesn’t have a vibrant and active online presence these days, you’re missing out on the best customer referral strategies ever created. But before you jump in and start marketing your business online – or if you’ve tried to do that with little success, there’s a few things you should know. Many business owners start from the premise of creating their own website. It’s a good start, but as many learned, simply creating a website for your business isn’t enough. This was especially true in the earliest days when small local businesses were competing head-to-head with national corporations that had money to burn on advertising and gaming Google. If your customers searched for “pizza delivery,” for example, Google would point them to the ubiquitous national pizza chains. If the little brick oven pizzeria on the corner showed up at all, it would be on the second or third page of the search engine listings, where most local customers would never find them. To be fair, Google, and by extension other major search engines, have come a long way in helping people find businesses that are geographically close to them. That’s only half the battle, though. If one of those national chains has a franchise in your area – and odds are that they do – their listings will still come up ahead of yours unless you do a bit of work to make sure your business gets found. Enter the local business directory. Local business directories are designed to highlight small businesses operating in a particular city or town. Some are little more than a database of businesses with basic information, sorted by type of business. Others, like FindUsLocal.com, are far more elaborate and offer more value for the time you invest in claiming and refining your listing, such as reviews, news and community connections. There’s more to your business listing than just the on-site benefits, though. When you make sure your business is listed in as many local small business directories as possible, you’re really leveraging a lot more than just the power of the business directory. You’ll be putting your business in front of the people who are most likely to patronize your business. If you’re making pizzas, you’ll find most of your customers within 5 miles of your business location. It only makes sense to use geographical targeting to get your name out to those folks. You can use your local business listing to funnel traffic to your business website and social media pages, where folks can learn more about your services or make purchases. Every business listing in a local business directory serves as a “citation” – a signal that helps search engines like Google figure out where your store is located. That way, even people who use Google to find great local businesses will be more likely to find your business. A good local business directory can serve as a central location where folks in your neighborhood can read the reviews from many different online review sites in one place. Being listed in a business directory that allows nearby neighbors to search by service or industry is like having a dedicated niche on a community bulletin board. The best online promotion strategy for local businesses includes making sure you claim your business profile on as many local directories as you can find – but that doesn’t mean you should put the same amount of effort into each listing. This section is about taking the simplest, most basic steps to elevate your online business profile using local business directories. In the next section, you’ll find more advanced, specialized strategies that you should use on business directories that offer you more options. Search for your business name and city on Google or another search engine. You’ll see your business listed on many websites you’ve never heard of. Most of these are online business directories that compile basic listings from public resources. Visit your listing on each business directory. There will be a link asking if this is your business or inviting you to claim your listing. It’s always to your benefit to do that. Check that the information listed is correct and complete. If there are errors or missing information, correct or supply it. The more citations Google finds with the same information, the more credibility they’ll give your business when people do searches. The more credibility Google gives you, the more likely it is that your business will come up high in the search engine listings when people search for your services. Once you’ve narrowed down your target business directories to one or two, you can work on a more targeted local online visibility strategy for your business. These tips and hints will help you make the most of your local directory listings. You’ll get the best results from local business directories that offer up-to-date features. FindUsLocal.com, for example, uses geo-location services to show you information that’s targeted for your immediate area. This is a huge benefit for your customers who don’t have to wade through listings of businesses that our outside their service area – and that makes it easier for them to find you. Does the front page of the business directory you’re looking at offer news and other features that draw people to the site? While most local business directories keep their focus on letting people search for businesses, the most popular ones serve up features that bring visitors back to the site again and again. With community newspapers going out of business or focusing on national and international news, these local directory sites take up the slack by showing news stories that are most relevant to the town in which you’re located. The more often they visit, the more likely they are to see your local listing. If you choose to pay for a premium listing (usually at very reasonable rates), they’ll see your listing featured over and over again. Any small local news site will tell you that event listings and calendars are among their most popular features. Some directories, like Find Us Local, prominently feature upcoming events on their auto-personalized front page. They include concerts, sports events, theater and other events happening soon, and even provide links to ticket-buying services for the convenience of their site users. A business directory that allows people to leave reviews offers even more value for your business. People like to shop and dine at businesses that their friends like. Good reviews will bring more people to your business than any amount of advertising. While you’re at it, make sure the local directory site allows you to comment on any reviews left by customers. Those reviews offer you a chance to thank customers for patronizing your business and reach out to those whose experiences were less positive. People will actually have more faith in a business that responds publicly to a review with negative points than in those with only stellar reviews. Find and standardize your business listing on as many online local business directories as possible. They only take a few minutes each if you stick to the most important information: business name, address, hours and contact information. Wherever possible, make sure your website address – including your Facebook page or Twitter account if you use them for promoting your business – are listed and accurate. When you find a local business directory like Find Us Local, take advantage of everything they offer to boost your business profile among the people most likely to patronize you. Because Find Us Local goes out of its way to keep local readers coming back for more, they provide your business with the best opportunity to be seen by the customers that are most important to your business. This entry was posted in Local Business Insight, Local Marketing and Advertising, Online Advertising, Uncategorized on September 14, 2017 by wpadmin. The devastating results we saw from hurricane Harvey made us all sit up and take notice, and now that hurricane Irma is pounding Florida and 2 other storms are forming in the Atlanta, local business owners are wondering what they can do to help their local communities. And that’s a good thing because oftentimes, local shops and restaurants can provide much needed services to people in need. For example, in after hurricane Harvey hit Port Aransas, Texas, a local eatery named “Eats” stepped up and offered free meals to all the local residents and volunteers in the area 3 times a day. People, who were weary with the clean up, came to the local restaurant to eat and mingle with other locals in the same predicament. And according to those locals, they will frequent the restaurant in good times because of the service it offered them in bad times. If you own a local business, now is a great time to show your community that you care. Here are 5 ways you can do just that. When disaster strikes, people have needs that typically can’t be met in a timely fashion by local authorities. For example, after a hurricane, moms need diapers, people need hot food when there is no power, and families need financial donations to rebuild their houses. And as a local business owner, you can take part in these essential services. 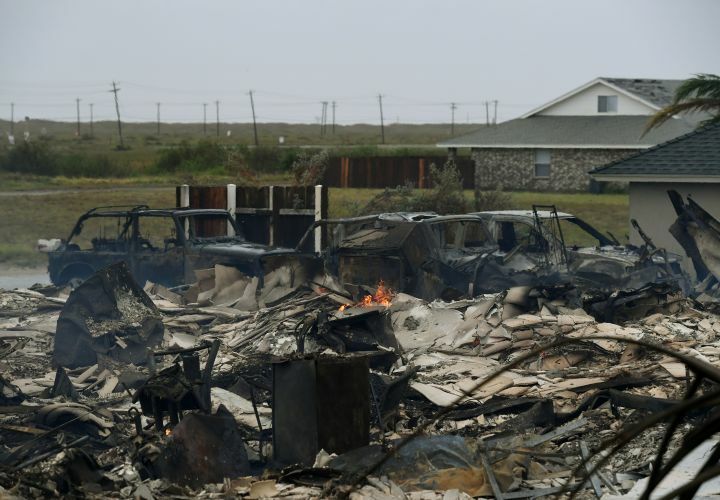 Whether you donate goods, money, or set up hot food lines like the restaurant did in Port Aransas, you will not only help your local community in its time of need, but you’ll show your business as a part of the community that truly cares about its residents. Even in the aftermath of hurricanes like Harvey, there was limited cell phone service and people relied on it to find US local businesses they could buy supplies from or eat at. That’s why it’s so important that your business is easily found on a local business directory like FindUsLocal.com. By creating your local business listing, people in need will be able to find your local business with the click of a button. It’s important to remember that your employees are a part of the local community, and they have needs, too. If it’s possible to keep them on the payroll until you are able to open your doors again, then do it. If it’s not financially possible, help them through the process of applying for state disaster unemployment assistance so they don’t suffer more than is necessary. And be sure to allow them plenty of time to clean up their houses or tend to the many tasks involved in rebuilding. People will be so desperate for even the most basic things in life that whatever you can offer will be appreciated by your local community. 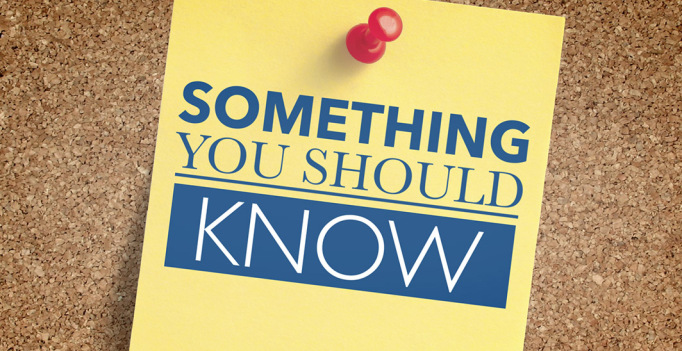 For example, if you are one of the lucky ones who still have power after the hurricane, you can offer a safe place for residents to charge their cell phones or plug in their laptops to check emails or disaster assistance communications. If you have foam plates or cups, hand them out to people who need them. No matter what kind of local business you operate, you surely have something people need or can offer services to the people in your area. One of the biggest needs people have after a disaster like Hurricane Harvey or Irma is a need for physical help. If you strong—or have employees who are—you can get out into the community and look for ways to help. People will need help moving trees out of their yards, moving ruined appliances and furniture out of the house, and many other things that the elderly or single women can’t handle on their own. And even if you’re not strong, you can help mop up the muck or go through people belongings looking for salvageable items. Local business owners can play an important part in the aftermath of a disaster like Hurricane Harvey and Hurricane Irma. Just be sure you can be found on local business directories like FindUsLocal.com so people can get what they need, donate basic necessity items to the community, get out and physically help where you can, and be sure that your employees are taken care of. If you haven’t already created your local business listing on a local business directory, why not head over to FindUsLocal.com now and do it? Who knows, the victims of a hurricane could be desperate to find US local businesses like yours this very minute. This entry was posted in Local Business Insight, Uncategorized, USA Business Directories News on September 11, 2017 by wpadmin. Local business owners across the nation are looking for ways to boost their business as more and more consumers are turning to online stores to fill their needs. But a recent study shows that local business owners shouldn’t give up when it comes to attracting local consumers to their business. The study shows that of all the people surveyed, a full 75 percent of them prefer to shop locally. So, what’s the disconnect? After all, thousands of stores are closing in our nation. There is one key difference between those stores that are thriving—despite the growth of online retail stores—and those that are shuttering their doors. There is one thing successful local business owners do that others don’t: they create business listings on local business directories like FindUsLocal.com. Online local business directories make it easy for people to find US local businesses because they don’t have to wade through all of the irrelevant results that come up in the major search engines. For example, if you were looking for an Indian restaurant on a major search engine, you would likely see recipes and other similar things in the results. But if you searched for Indian restaurant on a local business directory, you would only see a listing of all the Indian restaurants in your area. So, as a local business owner, how do you ensure that your local business listing will be seen by those people in your community who are looking for a shop or eatery like yours? Here are 2 tips that help people find your business. When creating your local business listing, it’s important to do it in a way that will give you the best results so it will come up in the search engine results. You see, the large search engines use spiders to scour the internet and find all of the local business listings for your business, and when you have more than one, it increases the chances of your business listing showing up in the results. For example, if you create a business listing on both Yelp! And FindUsLocal.com, it will make it more likely that when someone tries to find US local businesses in your area, yours will be seen. But when you create multiple local business listings, you’ll need to make sure they’re exactly the same on every local business directory that you use. For example, your business name, address, phone number, and website address must match exactly—otherwise the search engine spiders won’t recognize the listings as yours and all your hard work will have been for nothing. After you’ve properly set up your local business listings, it’s time to make those listings work to the benefit of your business, and one of the best things you can do to ensure that is to ask your customers to leave online reviews on them. Not sure why this is so important? Here are some results from a recent study showing just how important local reviews are for your business. 90 percent of the people asked in one study say that they need to read about 10 reviews before making a decision about whether or not they will buy from a local shop or restaurant. That means you should constantly ask your customers to leave reviews on your local business listing to build up as many reviews as you can get. The reason you need to consistently ask your customers to leave reviews is because of those surveyed, 73 percent say they ignore online reviews that are 3 month old or older. Be sure to make it a habit to ask for reviews in order to overcome this obstacle. If you’re still not convinced that having online reviews is important, the survey shows that 74 percent of the people surveyed say that when they see that a local business has good online reviews, it makes them want to do business with it. And even more important is the fact that 58 percent of those surveyed say that when a business has good online reviews, it causes them to visit that eatery, shop, or service business. Are you wondering how in the world you’re going to get your customers to leave reviews on your online local business listing? According to the study, it’s not that difficult. In fact, 7 out of 10 people surveyed say that they would leave a review for a local business when asked. Finally, if you’re still not convinced of the importance of local business listings, 84 percent of the people surveyed say that they place just as much importance on online reviews as they do a personal recommendation from a friend or family member. Now that is a statistic that’s hard to argue with! If you’re a retail local business owner who is struggling to figure out how to thrive in our new online economy, the above two tips are a great place to start. 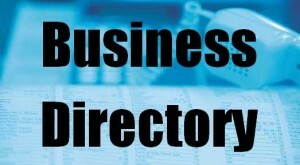 Begin by creating a business listing on an online business directory like FindUsLocal.com. Make sure to use the same information on all of your listings, and then ask your customers to go there and leave online reviews. Once you’ve taken these two steps, you’ll quickly reap the benefits of having a great online presence. This entry was posted in Uncategorized on September 4, 2017 by wpadmin. If you run a local business, are you doing all you can to ensure its success for the future? After all, the reports of the death of retail are every place, but smart local business owners know that if they only make a few changes, they will be able to serve their local community for years to come. What are these small changes? Making sure your business can be found online for starters. In an age where people look for everything—and I mean everything—online, it’s imperative that local business owners make sure their shops, restaurants, or service businesses can be found by the internet savvy consumers of today. And while many local businesses have websites where consumers can find the information, many others don’t have the time or budget to create one. And that lack of an internet presence is one of the reasons why so many local shop owners are being forced to close their doors this year. Before local business directories came along, people had to use the large search engines to find US local business in their area. But that’s a problem because the large search engines aren’t exactly designed to give local results to people who just want to find a local business in their town or city. That’s because the results people see in major search engine results are often riddled with things like articles, and websites that aren’t relevant. For example, if someone were looking for a local wine shop, they may see articles about how to select a good wine, or online wine shop websites. But that won’t help them if they want to drive to a local shop and buy a bottle of wine. That’s why so many people are turning to local business directories. These directories are designed to give people the local results they want in an easy to use format. For example, if someone were to log onto FindUsLocal.com, one of the most innovative local business directories around, they would automatically see a customized home page that is built around their local area. This happens because some local business directories use GEO location technology that reads a visitor’s location as soon as they log onto the site. Once there, visitors only have to enter their search term in the local business directories search bar and they will instantly see a listing of the local businesses that fit the criteria in the results. In other words, if you were to look for that wine shop in your own town or city, you would enter “wine shop” in the search bar on a local business directory and you would only see the local wine shops in your area. Now that you understand the importance of local business directories for your local shop, let’s talk about the best way to list your business there. It’s not that difficult, but you will need to follow a few steps to ensure that your local business listing is correct so you’ll reap the most benefits from it. Here are 3 things you should always do when listing your business on a local business directory. Create your local business listing. First, you’ll need to create your very own local business listing so people can find your shop or restaurant when they’re looking for one like yours. To do this, simply claim your business on local business directories like FindUsLocal.com and then fill in the details. Be sure to fill in your name, address, phone number, and website URL exactly the same on every local business directory because if you don’t, all your hard work will be for nothing. Ask Customers to Leave Reviews. Most consumers want to read some honest local reviews about a business before they decide whether or not to visit their shop or restaurant, and if your business doesn’t have some, it could hurt your business. To overcome this, simply point your current customers to your local business listing on the local business directory. There, they can leave a review for your business, which will help other people decide whether or not to visit your shop. Open a two-way conversation. Today’s consumers expect local business owners to have a professional relationship with them, and most of the interaction is done online. This has been a major problem for a lot of business owners because they don’t have the time needed to build a large social media following. But now they don’t have to with the innovation genius of local business directories like FindUsLocal.com. There, you’ll find something called the comments section and you can use it to interact with your customers in real time. It makes the process of communicating with your customers and others in your community easy and efficient. Plus it can be done in only a few minutes a day compared to the hours it takes to use social media to do the same. Local business directories are an important tool in the tool belt of local business directories. Have you taken the important step of claiming your local business listing on FindUsLocal.com? If not, what are you waiting for? A new customer could be looking for a business just like yours right this minute! This entry was posted in Local Business Insight, Uncategorized on September 4, 2017 by wpadmin. What are the Differences Between Online Reviews and Comments? Many local business owners have discovered the benefits of having their business listed on local business directories, but there is one feature on sites like FindUsLocal.com that some don’t know about: That is a comments section. You can add details the local business listing doesn’t include. For example, if the parking for the business is tricky and you have a tip about finding it or using it, you can leave the information in the comments section so other members of the community can see the information. Not all sales are advertised, and if you discover one in a local shop, you can leave information about it in the comments section. And unlike the review section, local business owners can also leave comments about upcoming sales or events in their store so it’s good to watch them. The major search engines love it when websites add new and fresh content, and in order to reward them for it, they give it a boost in the search engine rankings. That means every time you leave a comment for a local business, you make it more likely that the business will be found by other consumers who are looking for a similar business. As you can see, the comments section on local business listings are one of the most helpful features that have come around in a long time. But here’s the catch: not all local business directories offer the unique ability to leave comments for the local businesses that you shop at. In fact, we only know of one important that does: FindUsLocal.com. This cutting edge local business directory goes beyond the norm in many areas, and offering a comments section is just one of the ways it tries to make things better for both local business owners and the people who shop at them. If you want to help a local business gain traction in the search engine rankings, or want to give other consumers a heads up about the business, leaving a comment is the best way to do it. Okay, you’re convinced that the comments section on local business directories like FindUsLocal.com is the smartest way to interact with the local shops and other consumers in your community. Now it’s time to take the steps to get your voice heard in your community. Here is the simple process you’ll need to follow in order to leave a comment for a local business. Visit FindUsLocal.com, the local business directory that created this useful tool. Next, find the type of local business you want by either clicking on one of the five categories across the top of the home page, or by entering the keywords into the local business directory’s search bar. For example, if you’re looking for an auto repair shop, type in those words or simply type in the name of a business. You will see a listing of all the businesses in your area that match your search. For instance, if you typed in “auto repair” you will see the auto mechanics in your local area. Click on the business listing you want, and then check the details in the local business listing. Look for the name, address, and phone number, and look at any reviews that have been left by other people. Scroll down the page and look for the map to make sure the business is in the right area. Just underneath the map, you’ll find the comments section. Here, you can write any helpful comment you want about the business. You can use it to describe your experience at the business, or give other community members some insight about how to best deal with it. To write your comment, hit “Submit a comment” and you will be prompted enter your name and email address. It’s important to remember that FindUsLocal.com will never use your email address for marketing purposes and they will not sell it to other people. Your name will show up beside your comment. Now that you have access to the comments section, it’s time to write your comment. Focus on being helpful to those who will read it, and keep it short and to the point. Now, if you return to the home page of the local business directory and look in the “Recent Local Business Comments” section, you will even see your comment showing up there, along with other recent comments of other consumers and local business owners in your area. Can you see how this seemingly simple feature can change the way people interact with each other and the local business owners in their community? Why not head over to FindUsLocal.com right now and look for businesses you can comment on? Also here is an article about 10 Reasons Why Local Business Directories are Important for Local Business Success. This entry was posted in Uncategorized on August 24, 2017 by wpadmin. 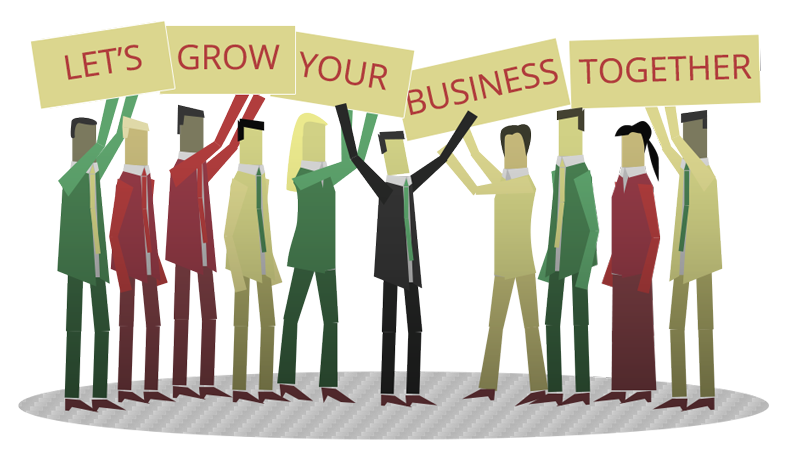 Are You Doing These 3 Things to Grow Your Local Business? The numbers are in and it seems to be good news for local retail businesses. According to Reuters, July saw the biggest retail increase in seven months, including discretionary spending by consumers. Experts say that this mean the economy is gaining momentum before the ever important fall busy season. But even though the news is good, there are still some local business owners who are doing poorly. For example, this year has seen a larger amount of local store closing than in the Great Recession. But now that the news is getting brighter, it’s time for local store owners to up their game so they can take part in the retail upswing. In fact, many experts predict that only those local store owners who update their marketing methods will continue to thrive in this internet driven economy. That’s why we’ve decided to bring you 3 ideas of how you can begin to increase your business today. Follow along as we offer some ideas that will quickly have new customers walking through your doors. Perhaps the number one thing you can do to increase sales is to list your shop, service business, or restaurant on a local business directory. These local directories are the new hang out for consumers who like to shop locally and find US local businesses to visit. In fact, as more and more people give up trying to find US local businesses on the large search engines, local business directories are the natural alternative. That’s because people don’t have to dig through a bunch of results that have nothing to do with local businesses. For example, if you were trying to find US local post office listings on a major search engine, you would have to dig through countless results that had nothing to do with your query. 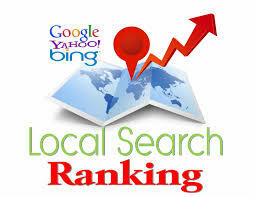 But if you conduct the same search on local business directories like FindUsLocal.com it’s all you would find. Another great way to get your local business name in front of the people in your community is to make sure you’re involved in projects and events. For example, if there is a country fair, you could offer to set up and run a face painting booth and then donate all the sales to a local charity. Or if there is a fundraising event in your town or city, do what you can to help. And in addition to volunteering at local events, you can also establish yourself as an expert in your field by holding classes, writing a local newspaper column, or giving speeches to local colleges or universities. Remember, the more you interact with the people from our community, the more they will associate good things with your business name. While local interaction is great, you’ll also need to find a way to interact with your customers online. That’ because in a world of social media, people expect the companies they do business with to hold online conversations with them. But that can be difficult unless you’ve budgeted thousands of dollars to set up and run a website. Luckily, one local business directory—FindUsLocal.com—has made the process easier. They have set up a comments section where consumers can leave any comment they wish about a business. For example, if they want to offer parking suggestions to other consumers, tell them which time of day to get the best table in a restaurant, or just make some casual comments about the business, this is the place to do it. 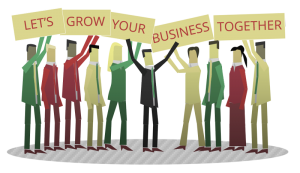 The time is ripe for local business owners to grow your own local business. That is as long as they’re willing to do what it takes for today’s tech savvy consumers to find them. Start by listing your business on a US local business directory, and then take it to the streets and mingle with your customers. And to ensure that you get the attention of your online customers, be sure to answer comments and then leave your own at the comments section on Find Us Local.com. This entry was posted in Uncategorized on August 18, 2017 by wpadmin. The art of successfully marketing a local shop, service business, or restaurant has changed dramatically in the past few years, and those who aren’t changing with the times are feeling the pinch. In fact, most experts agree that local businesses that don’t alter the way they reach out to new customers will probably not be open in the years to come. Luckily, it isn’t difficult to change direction and begin reaching today’s consumers. When is the last time you clipped a coupon in your local newspaper before you visited a local restaurant? And how long has it been since you pulled out the phone book to find a local phone number for a business? If you’re like most people, it’s been so long you can’t even remember. If you aren’t relying on old-school methods to find US local businesses, what makes you think that other people in your community are? Here’s the truth: they’re not. Today’s consumers are a savvy bunch, and they rely heavily on the internet to find stores, products, information and more, and if your local business can’t be found there, you’re missing out on a lot of potential business. But for far too long, local business owners have ignored the online trend because they believed websites were only for the big guys. After all, their customers live right around the corner. But here’s the reality: when a customer wants to find local businesses—even if those shops or restaurants are nearby, they look online. And that’s why so many local shops are struggling to keep the doors open. You might think most people go to the large search engines when they want to find US local businesses, but that’s just not the case. The experience is far too frustrating for most people, so they’ve turned in droves to local business directories. These local directories give consumers the opportunity to easily find US local businesses without the hassle. But as a business owner, you want to know more, don’t you? You probably want to understand just why you should spend the time to create your local business listing on a site like FindUsLocal.com. After all, time is money, right? So we’ve put together the following 3 reasons why your shop or restaurant should be on a local business directory. It makes good business sense to put your name in the places where customers gather and local business directories are it. Today’s internet savvy consumers always look for the most efficient and convenient websites, and local business directories are the answer for them. They can easily bypass all the irrelevant big box listings and informational articles get the local business listings they want in one easy step. Today’s buyers don’t make a move until they’ve read a few reviews about the shop or restaurant they’re considering, and if that business doesn’t have online reviews, they miss out on a lot of business. But when they have a local business listing on sites like Find Us Local, they’ll have a place where people in their community can leave feedback for others in the same area. And to make things even better, at least one local business directory allows both consumers and the business owners to leave comments in an interactive environment! This helps to create a conversation around your business. Internet marketing can cost a lot of money, especially if you’re trying to get your business up high in the major search engine rankings. You will either have to hire a professional to create a pay per click ad campaign, which can cost thousands, or a write to create hundreds of SEO articles so the search engine spiders can find your site. But there’s another way. When you claim your local business listing on a local business directory, you’ll benefit from that site’s marketing efforts. And the best thing of all? It’s absolutely free to create your local business listing. Local business directories are the future as far as marketing techniques for local restaurants, service businesses, retail stores and more. Here is a recent article that describes the 10 most important reasons you need local business directories. And unfortunately, those retail business owners who are late to the game and don’t think they’re necessary will likely fall victim to the rash of retail store closings across the nation. The gist of it is this: if you want to succeed in today’s retail marketplace, you have to change the way you do business and begin to take advantage of new developments like local business directories. If you haven’t already, why not head over to Find Us Local right now and claim our local business listing? This entry was posted in Uncategorized on August 16, 2017 by wpadmin.